When people buy new cars, safety is as much of a concern as anything else. Ford has taken this feeling to heart and promises to expand its safety rating across all of its models. In the spirit of safety, Ford has made two major announcements this year. A bevy of new, technologically-based safety features has arisen in the past few years. Luxury brands have historically been the badges to boast about features like lane departure warning systems and automatic braking, but now Ford wants to prove that high-tech safety is not just something the rich can afford. The brand has recently announced that they will be bringing all of their latest and most advanced features to their entire line-up, even the Focus. The company’s priority is to add systems like collision detection, which anticipate quickly approaching vehicles ahead and immediately engage brakes. The company is intensely researching vehicle-to-vehicle communication systems that allow a car to know that another vehicle has broken down ahead well before the driver can see it. Using this type of forward thinking, Ford intends to reduce the overall amount of collisions and accident-related injuries. 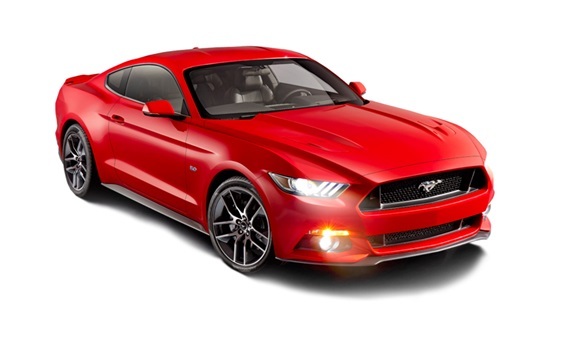 The 2015 Mustang will be the safest version of the car ever manufactured. Mustangs have always had a reputation for being muscled and agile, but now they can add safe to that list too. The next iteration of the Mustang will include highly advanced airbags installed in the glove box to cushion impact for the passenger’s knees as well as Ford’s Blind Spot Information System. Most impressive of all, Ford’s 2015 Mustang boasts the new MyKey system. This unique system lets the owner change the max speed of the car, as well as the max volume of the sound system to reduce distractions. The intention behind this set up is to allow younger drivers to borrow the car without letting them become tempted with all the torque beneath their feet. Ford is clearly doing their best to keep people safer on the roads. What safety features would you like to see in upcoming cars?